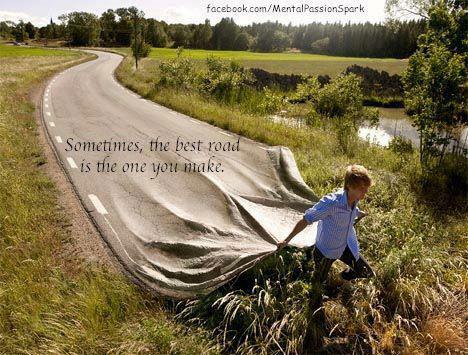 Love that picture and how it makes you think about choosing your own path. How true this is. Love the pic. Thanks. It’s great to be at point in life where that seems like a great idea : ).